One of the most challenging parts of getting in shape, or staying in shape, is finding the time. The fitness industry is aware of the struggle their solution is to offer an inexpensive and quick home workout for days when you can’t make it to the gym. In fact, you might not even have to join a gym. We have found some of the best equipment, all at very affordable prices. For many, you can even workout while catching up on your favorite TV shows. We’ve been looking for the best secret weapons for your home workouts, and these are incredible. People have been hawking exercise equipment on TV for as long as many of us have been alive. Remember the Thighmaster? At one time, “As Seen on TV” was more mockable than serious, although sellers certainly made a lot of money. Things are changing, though, and many of the products you see on TV are worth trying. Here are some of the best. The Thighmaster is still alive and well, but now there is a lot of competition. There are Pilates rings that you can squeeze between your thighs and the VNXing. The VNXing Thigh Master is nearly identical to the original Thighmaster, but with comfortable PVC padding. 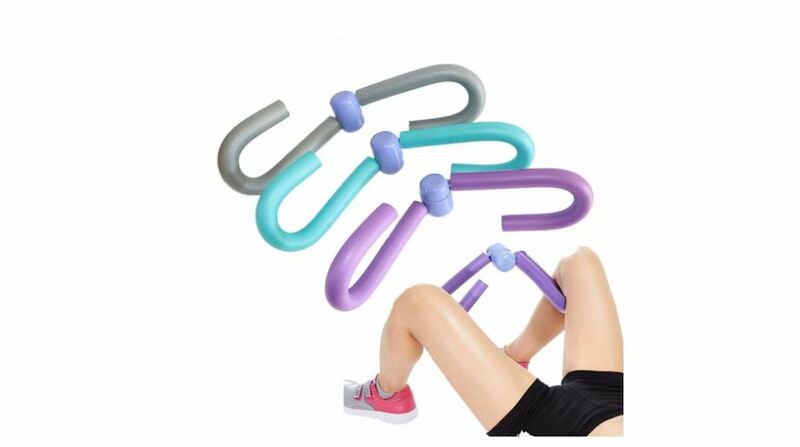 At only $12.99, and with 4.5-star reviews, it might not be the only piece of exercise equipment you need to buy, but it is an excellent addition to your home workout program. If it’s been a while since you’ve worked out, a perennial As Seen on TV favorite may be exactly what you’re looking for. 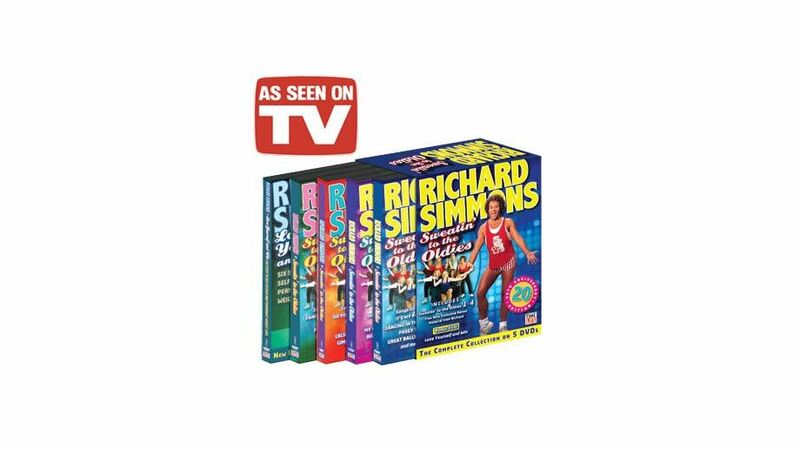 The entire Richard Simmons “Sweating to the Oldies” series is selling on Amazon. At $111, it’s a bit pricier than the equipment we’re talking about, but with four DVDs, you won’t get bored. One of the hottest exercise trends is also one of the least expensive and the most effective. Exercise bands are the easy way to get in shape, right from home, and the best part is, you can stick them in a pocket or in a drawer. 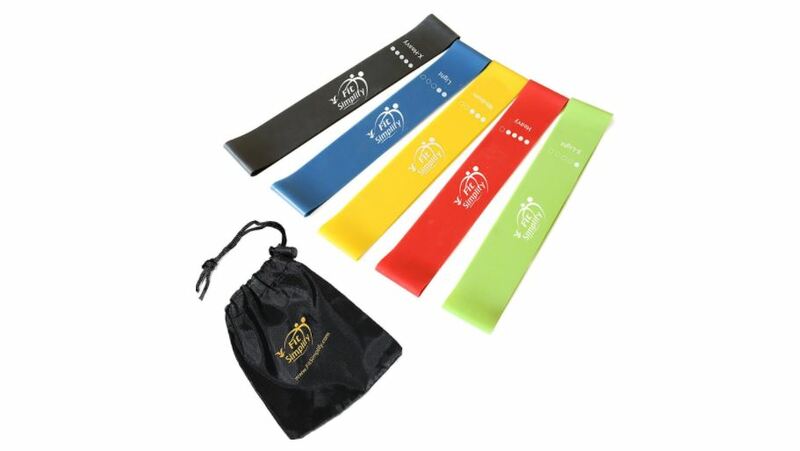 These Fit Simplicity bands run you less than $11.00, and for that, you get five different bands with varying resistance, a carrying pouch, an instruction book and even a DVD. It’s tough to get a full body workout for less. One of the best things for home gyms was the invention of adjustable weights. 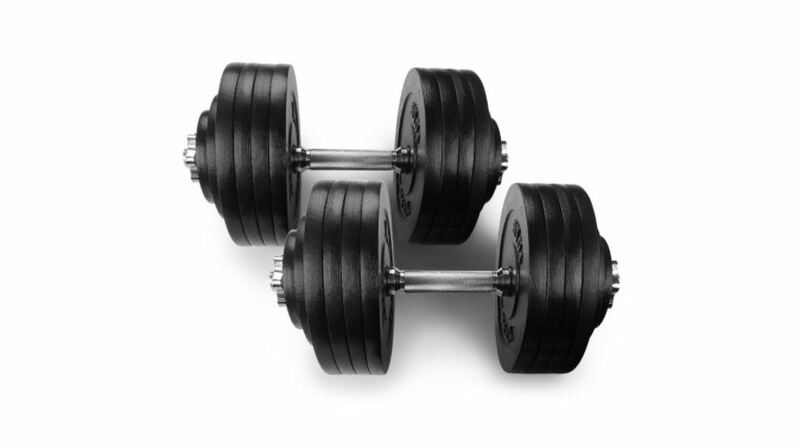 Starting from about $35, you can lift anywhere from 10 to 40 pounds, with the same weights. For around $200, you can lift up to 200 lbs. That might sounds like a relatively large investment, but it’s cheaper than a long-term gym membership, you never have to wait for your weights and your entire collection of dumbbells will fit on a (durable) book shelf. One of the fitness buzzwords in recent years is “core.” The core is the area that encircles our waist and through our abs and back. It’s the part of the body that stabilizes, and in these days where we spend much of our time hunched over a keyboard, a strong core can help prevent back pain and injuries. Fortunately, it doesn’t take a lot of time to strengthen the core, and with tools like the Ab Roller Wheel, it can even be fun. 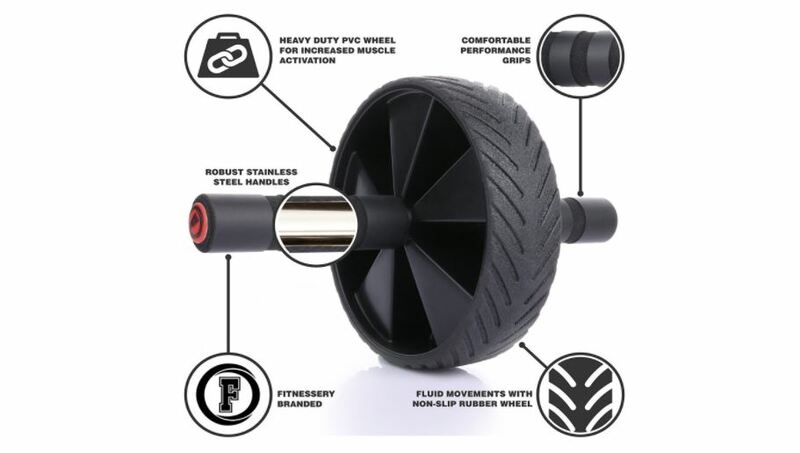 For around $20, the Ab Roller Wheel is compact but it’s powerful. Form is very important, though. If you use it wrong, you could end up working, or even injuring, your shoulders, instead of strengthening your core. Fitness accessories won’t get you in shape, but they can help keep you going and they’re a lot of fun. Everyone, even my mother, seems to be wearing fitness trackers right now. Most are worn on the wrist like a watch. They count steps, distance, sometimes stairs and hills, heart rate and even sleep. Many also offer social apps that allow you to compete against friends. 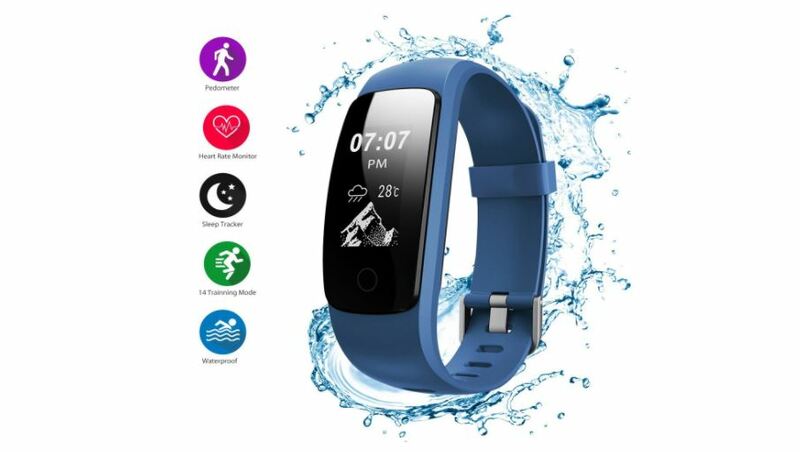 One of our favorites, especially if you like water sports or if you sometimes get caught in the rain, is the Helthyband H107 Plus Activity Tracker. It measures your steps and your heart rate. It gives you several training modes and it’s even waterproof. One of the best parts is the price. At around $40, it’s less than half the price of the most popular fitness tracker. 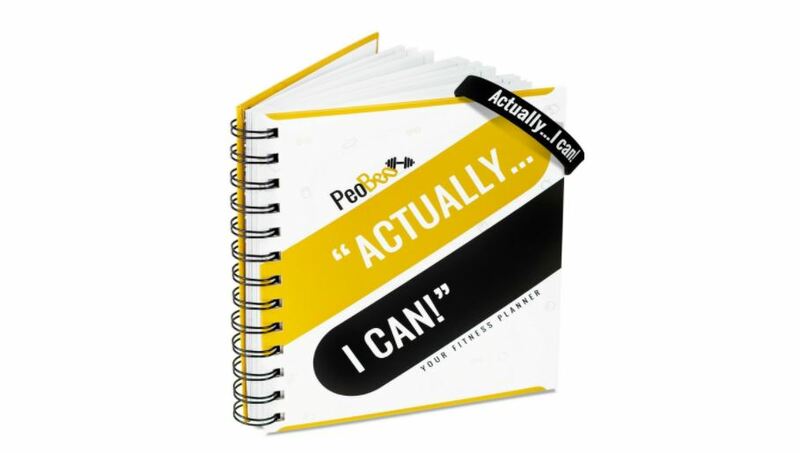 If you’re the type who keeps yourself on track by planning, or you want to be that type, a fitness planner might be the perfect accessory for you. Actually, I can, promises to change your life. It tracks exercise and food. It gives you tips on staying motivated, as well as tips for keeping sticking to your eating plan. It even tracks your water intake and sunlight exposure. The one downside, is that unlike with a fitness tracker, it’s all analog, which means you have to keep track by hand. Whether you workout at home, at the gym or outdoors, a water bottle is one accessory you should always have at your side. The best water bottles are easy to clean, non-toxic and BPA free, and preferably with a spout or straw-like mechanism that will keep you from knocking your teeth out when you take a sip on the run. 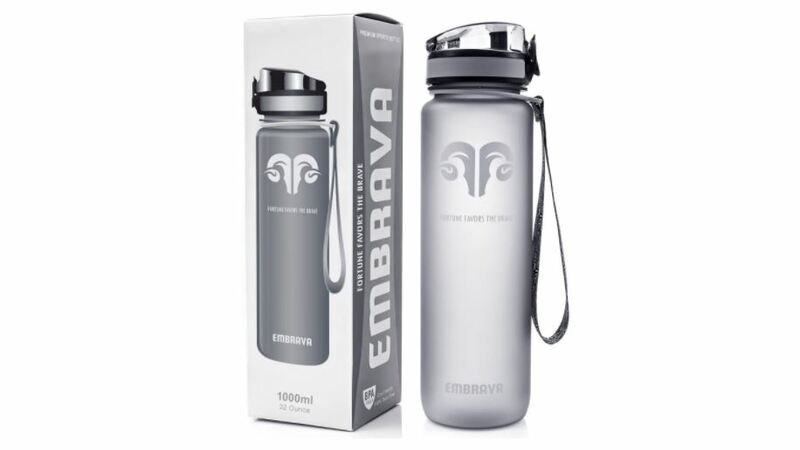 This water bottle from Embrava has all of that and more. It opens with one hand, its lid keeps it clean and it’s super easy to clean. It fits in all cup holders and at around $22, it’s even guaranteed. One of the most versatile pieces of workout equipment you can buy is a simple inflatable ball. This Lazy Monk inflatable exercise ball helps you stabilize your core by just sitting on it. That’s far from it, though. You can do entire workouts by using your exercise ball. It comes with a foot pump and even deck of exercise cards. It’s so durable that it even comes with a five-year warranty. 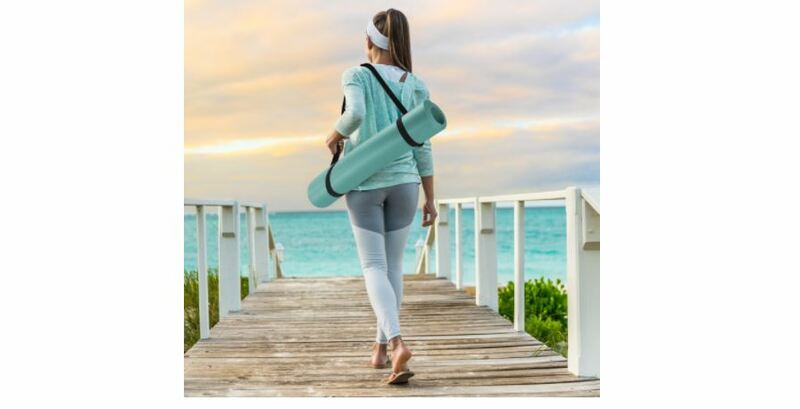 One must-have accessory for every home gym is a sturdy yoga mat. Yoga mats aren’t just for yoga. They’re great for working out your abs, stretching, doing pushups and for pilates. 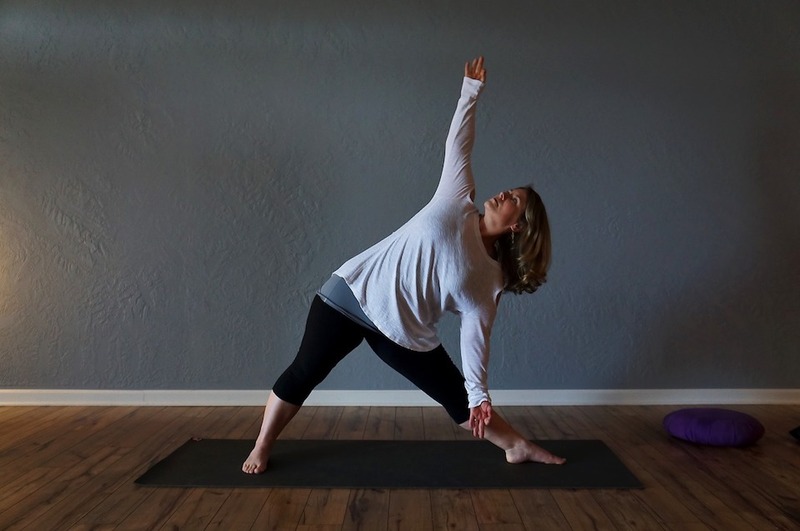 We like Sivan’s extra thick yoga mat for a comfortable workout, even on hard floors.